If you are interested in educational blogging, Silvia Rosenthal Tolisano has written an outstanding series of posts on her Langwitches Blog. This guide is ideal for both beginners and those more advanced with blogging. Silvia really articulates my beliefs about blogging so well. I wish I had have read this series four or five years ago instead of finding out the long way that this is the best way to blog! In Silvia’s latest post, she is requesting more samples of blog posts and comments for teachers to practice recognizing, evaluating and assessing various levels of quality work. She invited me to take part in a meme. If you haven’t heard of a meme before, you can read more about it here on Wikipedia. It is basically just an idea that spreads from blog to blog. Last year, I wrote a guest post for the Edublogs Teacher Challenge about how I teach quality commenting. Teacher and blogger, Linda Yollis gets full credit for mentoring and inspiring me to instil a culture of quality commenting in my class. I tend to use a process for classroom blogging as outlined in the diagram below. I start the year by doing a lot of working on explicitly teaching quality commenting skills. From there, students become more involved in writing blogs posts until they earn the right to have their own blog. 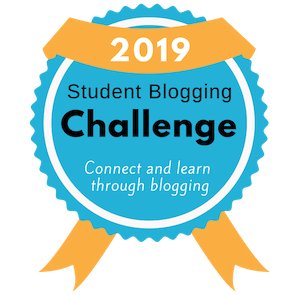 This post explains my system for earning student blogs – another idea from Linda Yollis! In terms of what constitutes quality, Silvia published some useful blogging rubrics on her blog. As I have been teaching seven and eight year old students, I have found the poster below more useful as a simple guideline. Next year I am teaching grade four students so I might look into adopting a rubric for these older children, some of who have blogged before. UPDATE: In 2012 I wrote a post with a simple blogging rubric. One of the biggest points I’d like to make about quality is that higher quality comments and posts do not automatically come with age. Time and I time again, I have seen my grade two students write at a more advanced level, in terms of writing conventions, than students and adults who are much older. Every day in my class we look at some blog comments and talk about things that have been done well, as well as having “on the spot” mini lessons on a range of writing conventions. This depends on what comes up in comments. In the images below, I’ve annotated some comments from students who range in age, with some mini lesson ideas and some modelling points. Generally, when evaluating student comments, I like to give both positive feedback to reinforce and constructive feedback to help students improve. Tip: click on images if you want to make them larger. Obviously, there is tact involved in creating mini lessons based on student errors. We don’t focus on the same student all the time and we don’t focus on every mistake that a certain student has made. The discussion is started in a positive way and if the comment needs a lot of work, feedback would be provided privately, rather than in a whole class lesson. You can also find some examples of how some of my individual students have progressed with their writing over ten months in an earlier post. Sue Wyatt (aka Miss W, aka @tasteach). Read Sue’s post here. Tracy Watanabe (@tracywatanabe). Read Tracy’s post here. Stef Galvin (@stefgalvin). Read Stef’s post here. Anyone else is very welcome to write their own post evaluating blog posts or comments. Check out the post on the Langwitches Blog here for more information. Bec Spink (@MissB6_2) has written her audit here and Kathryn Trask (@KathrynTrask) has completed an audit here. Leave a comment if you have some thoughts about teaching and assessing quality writing on blogs. Thanks for directing me to the langwitches series it is most appreciated. I’m in the process of slowly setting up a class blog for next year and am thinking a lot about how I’m going to build up a high-quality and highly engaging blog for my students. Do you think that teachers actively blogging themselves helps enhance the creation of effective classroom blogs? That is a really good question about whether it helps if teachers blog. Personally, I started my own blog before I started blogging with my students and I found that a good way to get into it. However, most of the classes I collaborate with don’t have a teacher who blogged first. Kelly Jordan, Jonah Salsich, Linda Yollis, Judy McKenzie and Shawn Avery all started blogging with their students first (I think). I think it will be an advantage that you’ve been blogging for a while now. You will be able to get straight into it. I bet you can’t wait! I’m not a teacher but have many teacher friends on my plurk account and was directed to your blog from one of them this morning. I recently just posted on a similar topic – following blogs and commenting and common courtesy type things. I follow a good many blogs by teachers as well as classroom blogs if possible. I think teachers who blog tend to have more successful classroom blogs because they have experience and can teach their classes by example. Thanks so much for your comment. It’s lovely to hear that you were recommended from a teacher. I began blogging myself before I blogged with my students and it was definitely a worthwhile experience for me. Thank you for your response to my Blogging Audit. You took the idea of creating samples of “How-to” evaluate, assess and recognize quality in student comments to the next level! The screenshots of the comments with arrows, pointing out your train of thoughts, will be invaluable for teachers just starting out to blog with their students. They mode YOUR expectations for others, as well as the pedagogical commitment to quality writing. Your equation “Explicit teaching + high expectations + regular feedback + authentic motivation = quality writing.” resonates with me. Especially “regular feedback” as a cornerstone to improve learning and writing is so important to point out. I interpreted “regular feedback” in my post about Blogging Consistency- http://langwitches.org/blog/2011/12/22/learning-about-blogs-for-your-students-part-vi-consistency/ , as a way to inspire motivation, the cognitive learning process and the means to create trusted connections over time. I failed to address explicitly the reason you mention in your post though: Consistent (quality) feedback will improve student writing! Educators will see that the steps in your equation do NOT differ from traditional writing (with pen and paper). We need to help educators transfer their skills of teaching writing into the digital world. 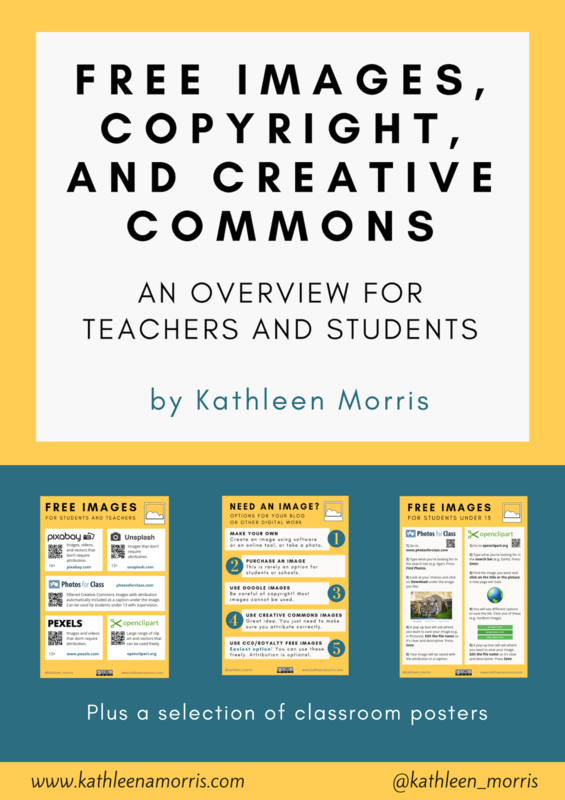 Thank you again, Kathleen, for sharing and modeling your QUALITY teaching as you are using blogs as a learning platform with and for your students. Thank you for your comment and thanks again for inviting me to complete an audit! I often tell teachers that I know that not having very high expectations for blog posts/comments does not work because I used to be that teacher! While I have always had the highest standards for my students in all academic areas, when I started blogging in 2008 I did not have high expectations, provide feedback, offer explicit instruction or provide any authentic motivation. Needless to say there was little progress with what the children were achieving. I failed to recognise that blogging was no different from traditional writing. When I first made that connection, with a little help from Linda Yollis, I suddenly started to see tremendous progress from my students and outstanding results! As you said, this is the message we need to be passing on. We need to help the many teachers who are so strong at teaching “traditional” literacy, to transfer their skills to the digital world. When they realise it’s not any different from what they know, I think some barriers can be broken and new ways of teaching and learning can unfold in many classrooms. I thank you for tagging me in Silvia’s meme. I’ve published my post. The thought process that I went through to write the post helped me in so many ways. When I was creating the quality post checklists, I kept thinking about the classrooms I work with and I wanted to give them something that they could use. In a way, it became more of an audit of where I’ve been successful and what I need to work on to continue building a blogging culture in my district. Your post is such a strong model, clearly sharing your thought process. I appreciate the balance between good models and what makes them strong, and the mini-lessons. I want to use your post with teachers because I think everyone could relate, even if they aren’t comfortable with blogging yet. I noticed how your post looks a little different than it did before. I like how you placed the images in the post so I can see them all at once. Out of curiosity, when you had them as a slide show, what did you use? Again, thank you for tagging me in this meme. Thank you for taking the time to write your post and let me know about it! As I mentioned in my comment, your post was so thorough and really though provoking. I think I might show my 2012 students some of those examples that I annotated when teaching them about quality commenting. Maybe I could then have them annotate some of their own. Yes, my post does look different. I made the slideshow in PowerPoint, uploaded it to AuthorSTREAM and embedded it. I didn’t like how you couldn’t view AuthorSTREAM on iDevices (I assume it uses Flash). So I found http://www.slidemypics.com/ which uses HTML5 so supposedly works on iDevices. It kind of worked on my iPhone and iPad but it wasn’t very reliable. You have modelled for me and challenged me to take more seriously writing in posts and comments in my classroom and indeed for myself. As I read I was also asking myself how did she do these annotated comments so clearly? I was so pleased to see Tracy’s question, and your answer. I am going to try that as Tracy has tagged me in the meme. I might have to come back if I get stuck. Thank you for your comments and I’m glad you like the annotations. I know PowerPoint is a pretty basic program but I find it really handy to make annotated images and all sorts of pictures. Some people don’t realise you can save PowerPoints as JPEGs and other formats. Look forward to reading your meme! That’s very helpful. I liked the smoothness of the embed, but forgot about viewing from the iPad. That’s where I can improve because I’ve helped several teachers with embedding things then had to explain why the class couldn’t view from the iPad. Oops! As usual, you have a well written post that helps teachers learn the concepts about how to best serve student bloggers. Thank you so much for the credit you’ve given me! I really appreciate your kind words, Kathleen. I am passionate about teaching quality writing and helping students create a digital footprint they can be proud of. I think it is so important that teachers set high standards for students and then support and nurture the writing process through constructive feedback. Like you, I always begin with the positive aspects of a comment, but also take an honest look and discuss ways to improve student writing. I love working with you and look forward to another exciting year of collaboration and friendship! I’m glad you didn’t do this post on your holiday break. You and I need to learn how to switch off! I have said it before and I will say it again, you are the reason I have experienced such good results with blogging! You showed me a model that links the important basics of our curriculum to the exciting possibilities of education! I read about some models for feedback on Tracy’s post. I think I might use a more structured model for feedback this year. Maybe two stars and a wish (ie. 2 positive and one thing to work on). We’ll see! I can’t wait for another year of friendship and collaboration with you too, Linda. I think it will be a very exciting year! I’ve just come across your blog for the first time. You have done some really impressive work with your students. I have been listening to your pod cast you did a few years ago about class blogs and now I am ready to try it in our ICT lessons with the hope that other teachers will get inspired! My school is in Hong Kong if you would like to to share with your class about Hong Kong and we could learn more about Melbourne ( That’s where I am from!). Thanks so much for sharing your experience on this blog, it is amazing! I’m so happy you hope to inspire your teachers! We’d love to connect with your class sometime. We are on holidays for two weeks but maybe next term. I’m sure my kids would love to hear about Hong Kong. Our time zones might even work out to Skype. I love your graphics and plan to use some of them when I discuss ‘commenting’ with my high school students who are new to blogging. Love your content.